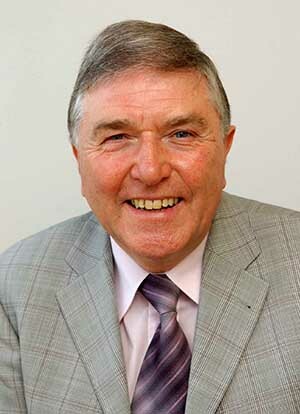 Ulster University's emeritus professor Roy McConkey thinks you can learn a great deal more from examining success than investigating failure, in this profession. Why did you embark on a career in learning disability? Growing up in North Belfast, two boys with learning disability were part of our Boys’ Brigade company. When studying psychology, I started to understand their difficulties better and did my undergraduate research project with pupils who had mild learning difficulties. A summer spent as a counsellor at a US camp for people with disabilities further confirmed a decision to undertake research into what was then called ‘mental handicap’. Queen’s University, Belfast and my doctoral studies were at the Hester Adrian Research Centre, University of Manchester with Peter Mittler as director and Peter Herriot as my supervisor. I was fortunate to have two excellent role models. Although retired from full-time work, I am undertaking several research and evaluation projects for Special Olympics International and for Special Olympics in Europe/Eurasia. I am also a visiting professor at the University of Cape Town and Trinity College, Dublin. I undertook consultancies in some 20 countries around the world, for various United Nations agencies and non-governmental organisations. These helped me appreciate the similarities in the life experiences of people with intellectual disabilities and their family carers, despite the differences in material circumstances. From 1997 to 2013, I held a joint appointment between Ulster University and the Health and Social Care Board which commissions services for people who have learning disabilities in Northern Ireland. Before that my research posts were in services for people with intellectual disability in Dublin and the Scottish Borders. Creating and evaluating new styles of services. I believe we learn a great deal more from examining success than investigating failure. Ensuring that leaning disability is given due priority in allocating resources in health and social care especially. Too often this client group is short-changed. Greater advocacy by people with learning disability and their supporters. In many countries their voice remains muted and yet international experience tells us that it is major driver of change. What qualities do you think a good learning disability practitioner should possess? Compassion, resilience and determination. They are illusive qualities but they are more often nurtured in trusted relationships with work colleagues. Seek them out. Out of despair comes hope. I marvel at how most parents turn out to be superb carers and educators of their child with disability without attending training courses or having job descriptions. We professionals should be humbled by their example. I often say that work is my hobby because it provides me with the experiences that I most enjoy such as writing, travelling and meeting new people. But my best form of relaxation and enjoyment comes from playing with my three grandchildren. That people are kind enough to still ask me for advice and that I have not made too many enemies along the way. Discover what you are good at and keep practising to become even better. Too often we focus on our shortcomings – and especially those of others – and do not give due recognition to our assets.